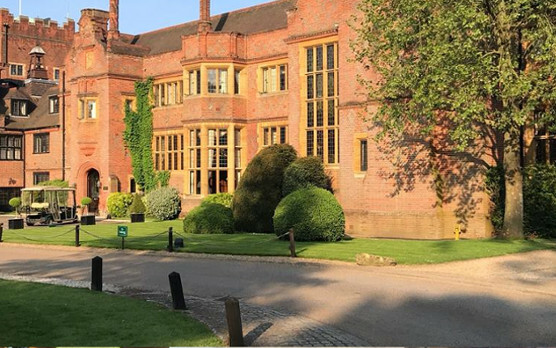 We visited Marriott Hanbury Manor for dinner so that we could view their £1.7 million refurbishment of the event spaces. The original house retains all the original wood panelling, ornate ceilings and spectacular fire places; all the elements you would expect from an English country retreat. The famous Poles Hall with its minstrel gallery has been sympathetically refurbished with stunning lights, new paint work and flooring; it can fit 144 for dinner. 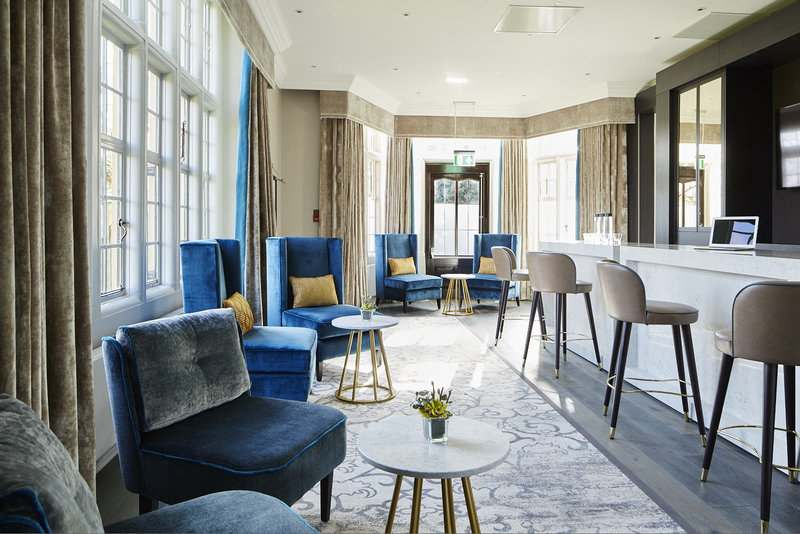 The meeting rooms in the newer section of the hotel have been refurbished with a modern contemporary feel, many have their own comfy seating areas within the rooms, fully utilising all the space. 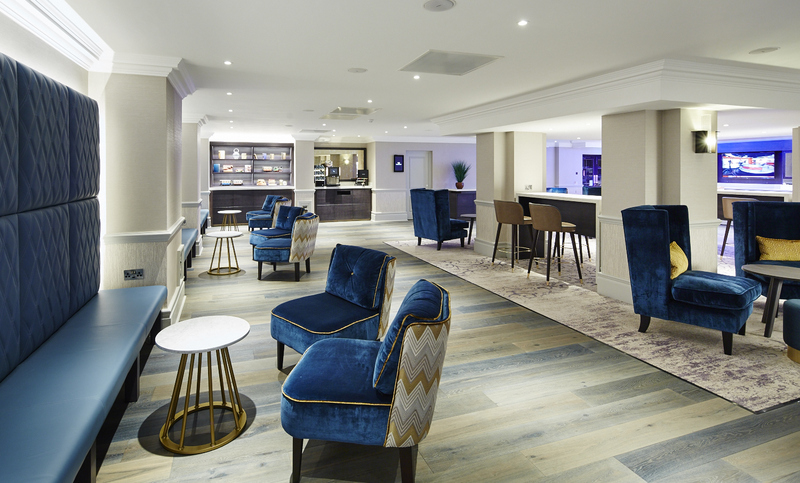 The hotel has a total of 17 event spaces that hold between 8 and 200 delegates. The central events area now offers informal seating areas, tea/coffee and lunch stations, and digital signage. All but the largest rooms in the new section have Clevertouch Screens, Smart Write on Walls and ClickShare connectivity. 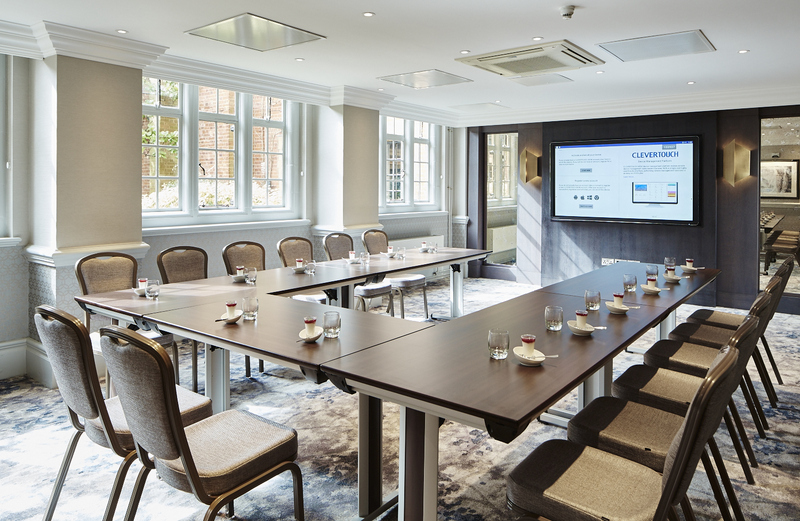 The Clevertouch Screens allow everyone in the room to connect, send and receive data. The screens are connected to the internet and can be used for video conferencing and online training. The Smart Write on Walls are hidden behind large mirrors, when not in use, but are connected to the Clevertouch Screen. They can be used like normal white boards but when written on by the special laser pens the writing appears on the Clevertouch Screen. Everything that appears on the screen can be downloaded to individuals devices or a usb stick (everything is wiped from the screen’s memory at the end of the conference). I have never seen anything quite so advanced built into so many meeting rooms at a hotel…very impressive and I am sure extremely useful to any presenter or meeting facilitator. In the grounds, the hotel has also recently completed the full renovation of the summer house, the Garden Court. Set in the lovely walled garden this space offers its own completely private meeting room and break out space in the form of greenhouse/conservatory area. Perfect for a self-contained meeting, but also great for an alternative dinner area in the Summer months. The space can hold up to 120 for dinner and 160 for a meeting. The hotel also offers a spa with pool and gym. One of the dance studios even offers your very own virtual personal training experience. The hotel has a golf course designed by Jack Nicklaus II and is set in 200 acres. There is plenty of space for team building. It was a comfortable 45 minute drive for us in south Cambridge and 33 miles from Cambridge rail station. The hotel is 18 miles from Stansted Airport.